Now we need to get into the specifics of configuring your blog. In order to implement new additional features and functionalities Plugins are required. What is a WordPress Plugin ? WordPress plugins are bits & pieces of software code written by the Community of WordPress Developers. You’d like your blog to do something that is doesn’t do right now ? Search the WordPress Plugin DIrectory. There are thousands of WordPress Plugins you can download freely from this and many other websites. 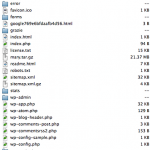 How do you install a WordPress Plugin ? It’s very easy – if I can do it, so can you! You use this information with an FTP Client – there are so many out there – If you’re using a Mac there’s one called cyber duck , for Windows there is FTP Surfer . There are also a number of Firefox ADD ONs for FTP you can use if you prefer using your browser. then go to the folder plugins – that’s where you need to place your plugins. Once you have placed them there, you need to go to your WordPress administration panel and activate them. Under ACTION you need to click on ACTIVATE and they work. Which WordPress Plugins Should I use ? These WordPress Plugins require minimal configuration tasks, the SEO Title Tag might be out of reach for many normal people like yourself but don’t worry too much: This is something that can be done by anyone with minimal HTML coding skills . it’s pretty basic and the activity of uploading, activating and configuring your plugins is really a matter of 1 hour at the most. With this information and your friendly neighborhood web designer you can have your blog optimized in no time. Once you’ll see just how easy it is to install and configure free wordpress plugins, you’ll be tempted to install more and more of them – be careful, many plugins are “quick & dirty” work and can cause your blog to crash with serious damage and long outages, along with considerable costs for someone to get it back up and running again. Don’t install every new plugin you see or hear about – most of them are useless. Install plugins only after you have given the matter some serious thought, identified the plugin and had someone verify the quality: run a search for the plugin name to see if people have been talking about it, if there have been major problems, see how long it has been around and how many other people have downloaded it before you. yeah, it can be addicting to start installing all those plugins (same with widgets). there are websites you can visit to check on the loading time of your site, so you can see if your plugins are slowing you down at all. heck, there’s even plugins that will speed up your loading time (WP Super Cache). i’d also recommend Add This for social bookmarking. Would the “related entries” look good for google, or provide too many internal links? Your thoughts? One of my blogs I can just click a button and go through a few steps and the plug-in installs or updates itself like a dream. The other blog on the same host, same build with the same permissions set continues to fail to install plug-ins and I’m stuck still having to do it all manually. I like it when it works, but I sure wish there was some consistency to it all. As an artist, I like the idea of having WordPress plugins to help my site in Search engine Optimization. The only problem is the lack of consistancy regarding updates and the lack of a truely defined streamlined model on which to base it on. Other than that though, the plugins are a great help. There’s also an option to load plugins from your own computer. So, you don’t need to search your files on the server in order to find the appropriate folder and so on. You can simply dowload the plugin from wordpress plugins directory or somewhere else (may be your friend posted about some useful plugin in his blog and shared it there). So, when you have the plugin in a zip file on your computer, you can point the way in a window and click “download”, then activate and that’s it! 🙂 Without manual bothering your files on the server. 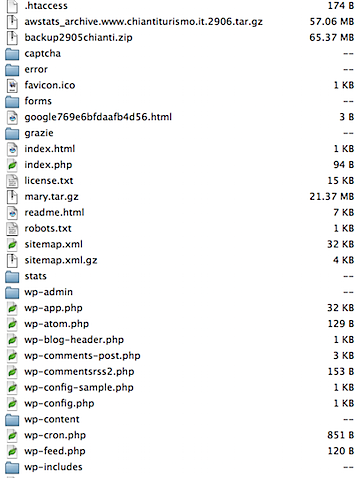 Another fine post sante….without plugins, wordpress would not be a very good script at all.